Yesterday... i gave our nice Red Umbrella away. As i was parking just outside church today, i saw an old Indian man get out of a taxi. A part of his umbrella came of and he had difficulty getting out of the taxi... due to bad legs. I tried to quickly finish parking so i could help him pick up that piece of his umbrella that had come off. As i finished to park, he had staggered out of the taxi... and the taxi (unknowingly) reversed over that umbrella portion damaging it permanently. I went to the old Indian man and offered our umbrella. He didn't want to take it at first... but in true humility, he agreed to take it when I said that I can easily get another one. We will have to get a new one soon because it's the rainy season. 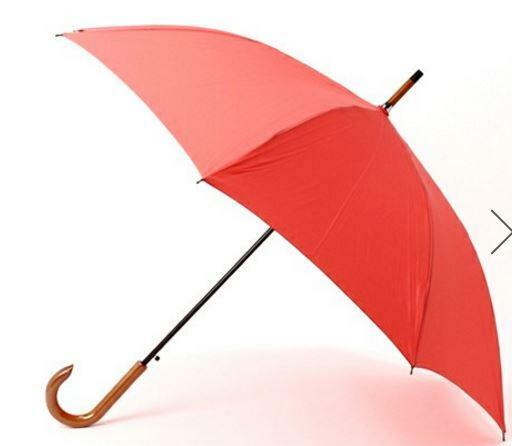 This isn't the actual umbrella, but it sure looks like it.